ALLEGRA BOVERMAN/Staff photo. Gloucester Daily Times. 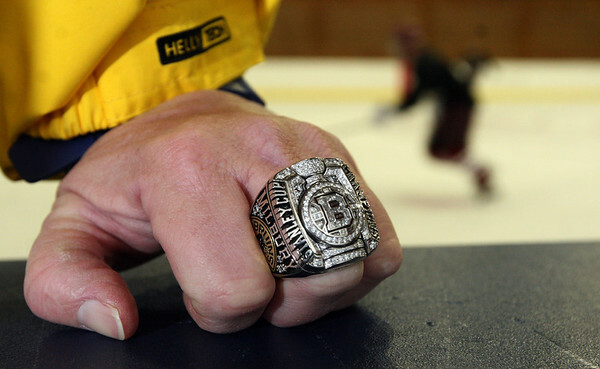 Gloucester: Kathy Milbury of Rockport shows her brother Michael Milbury's Stanley Cup ring at practice with the Gloucester boys varsity hockey team. Her brother was a longtime Bruins player, coach and now a NESN commentator.